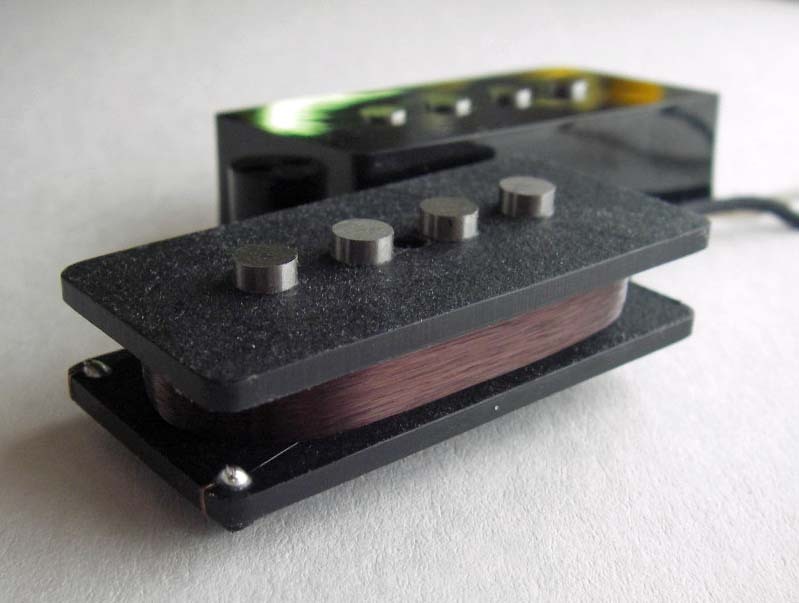 Plain Enamel magnet wire, Alnico 5 rod magnets. 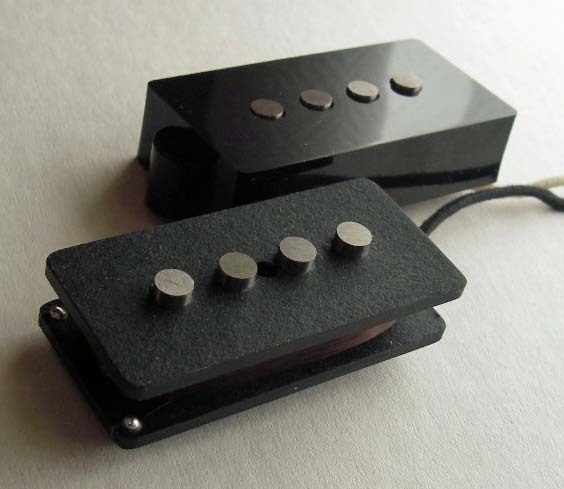 Humbucking split-coil bass pickup. 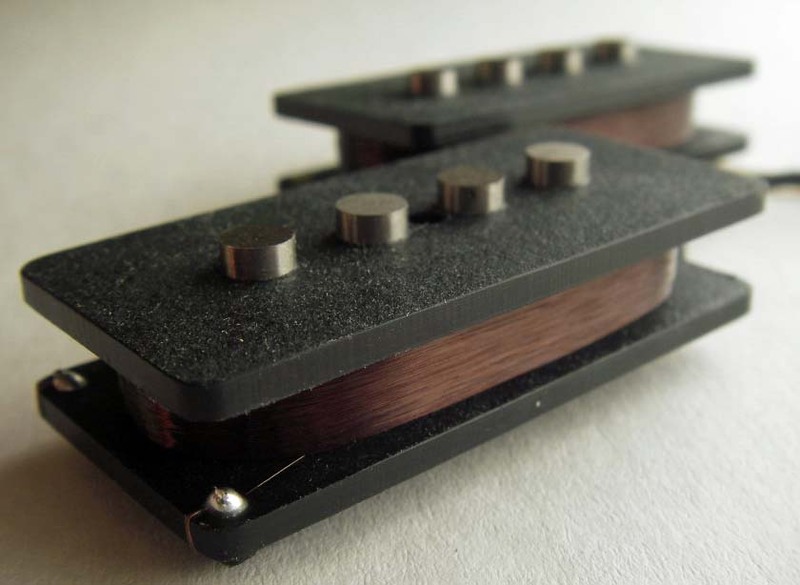 Specs are taken from original -73 Precision bass pickup. Black covers and nickel plated mounting screws includes. wax coated string protecting the coil, single-contuctor hookup wires. 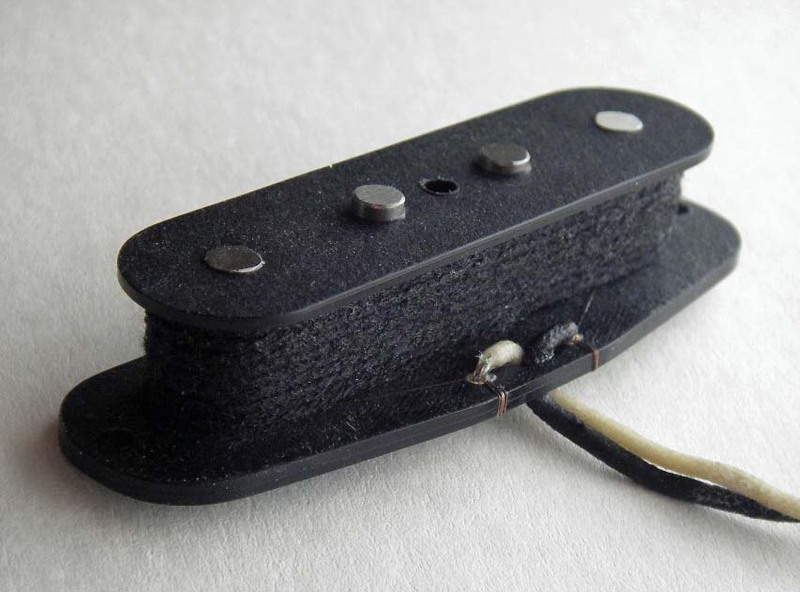 This pickup uses Alnico 5 un-oriented rod magnets for a more vintage sound character.